ACTSI's biostatistics program developed an optimal three-stage group sequential design for monitoring the safety of the clinical trial Bela 8 Week Dosing. The trial is examining immunosuppression therapy in post-transplant kidney recipients and is led by I. Raul Badell, MD, assistant professor of surgery, Division of Transplantation, Emory University School of Medicine, in the Emory Transplant Center. The immunosuppressive drug called belatacept improves long-term outcomes following kidney transplantation. Standard maintenance immunosuppression for transplant patients at the Emory Transplant Center consists of every four-week dosing of belatacept. Preliminary data from a small set of patients suggests that every eight-week dosing is equivalent to four-week dosing. The study consists of randomizing transplant patients on belatacept to continue on four-week dosing or transition to eight-week dosing. 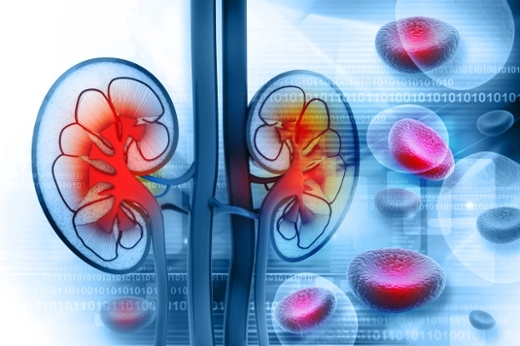 The purpose of the study is to transition patients who have been stable on belatacept for one-year after kidney transplant to an investigational eight-week schedule. The investigators hypothesize that renal function and acute rejection rates will be non-inferior with eight-week belatacept dosing. The study design simultaneously achieves the likelihood of identifying a successful therapy and minimizes the expected number of participants exposed to an unsafe therapy based on the biopsy-proven acute rejection rate. “The Biostatistics, Epidemiology, & Research Design (BERD) program fosters development of new statistical methodology to meet analytic challenges posed by the research community,” said BERD director and biostatistician John Hanfelt, PhD, professor of biostatistics and bioinformatics, Rollins School of Public Health, Emory University. A key goal of the BERD program is to provide value-added assistance to markedly improve the quality of the translational and clinical research of Emory University, Georgia Institute of Technology (Georgia Tech), Morehouse School of Medicine (MSM), and University of Georgia (UGA) investigators. This is accomplished by having highly trained, service oriented BERD personnel from Emory’s Rollins School of Public Health available to assist researchers in a timely manner. To request a BERD consult, click here. ACTSI is a statewide partnership between Emory, MSM, Georgia Tech, and UGA and is one of over 60 in a national consortium striving to improve the way biomedical research is conducted across the country. The consortium, funded through the National Center for Advancing Translational Sciences (NCATS) and the National Institutes of Health’s Clinical and Translational Science Awards, shares a common vision to translate laboratory discoveries into treatments for patients, engage communities in clinical research efforts, and train the next generation of clinical investigators.